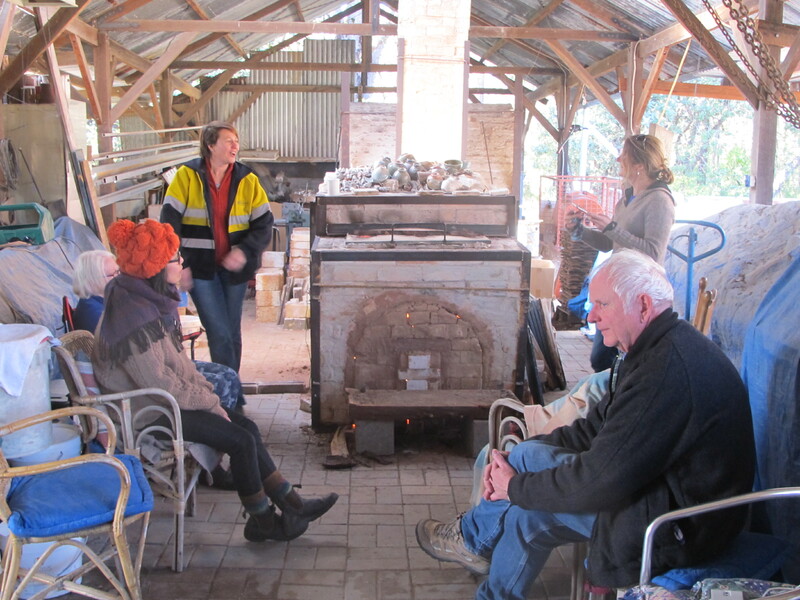 We have just finished another firing with a group of enthusiastic potters. The weather is glorious and warm in the sun, with no wind, so a good night for a frost. 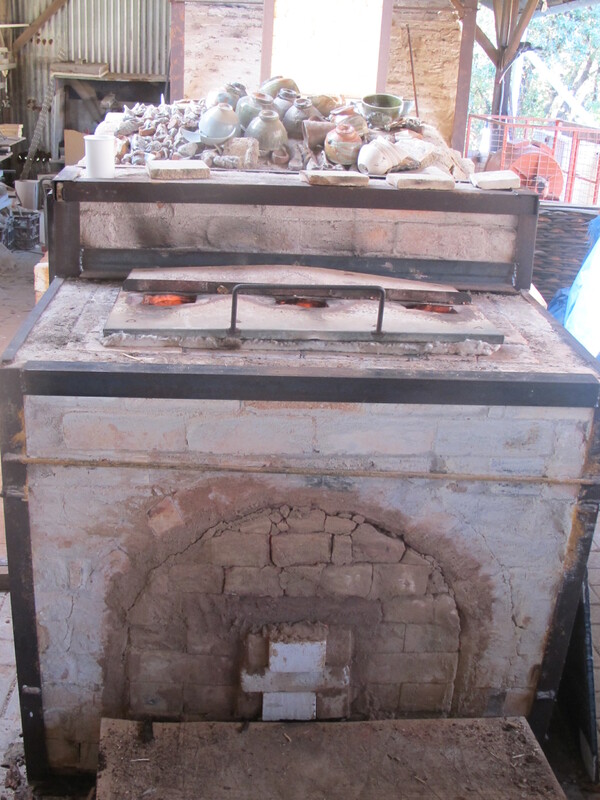 The firing went very well, even a little bit quick, so we will wait to see what the results are next week. The night before the firing and just after I had written that Nothing lasts, nothing is ever finished and nothing is perfect. The heat shield on the door of the wood fired kitchen stove fell off at the end of dinner. 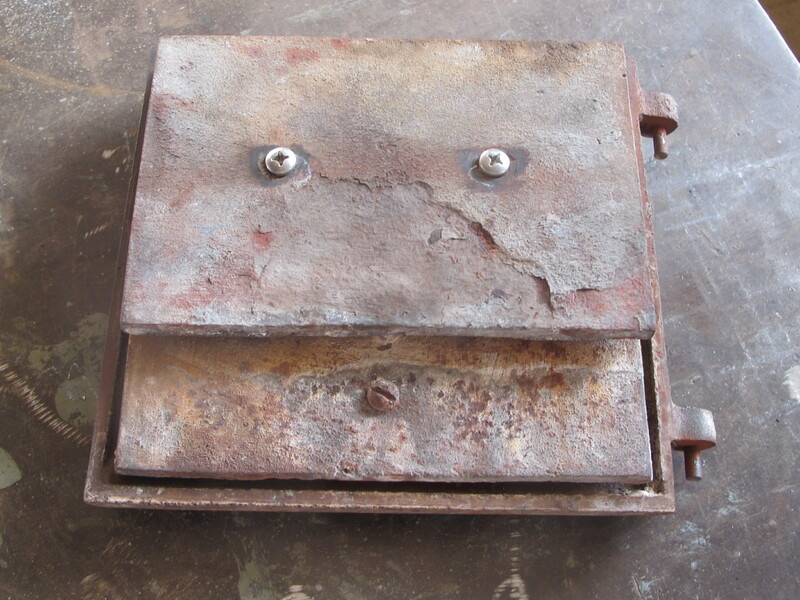 The bolts holding it on had rusted away. I was stuck for just one second with a 2kg piece of red hot steel plate coming free and having to deal with it unexpectedly. Trying to stop it landing on the wooden floor of the kitchen. 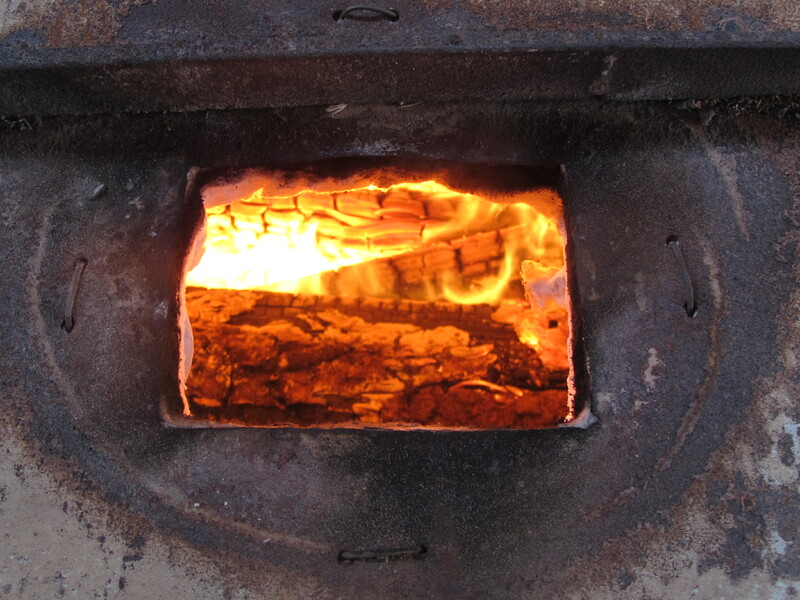 Fortunately, I installed a piece of thick copper sheet onto the floor in front of the stove, just in case any red hot embers might cascade out of the fire box on some occasion. This has hardly ever happened, but does occasionally. I’m glad that I saved up and did it when I did, thirty years ago, because I probably couldn’t afford to buy such a sheet of copper now. The copper looks great, has lasted well and on this occasion, might just have saved the house from burning down. 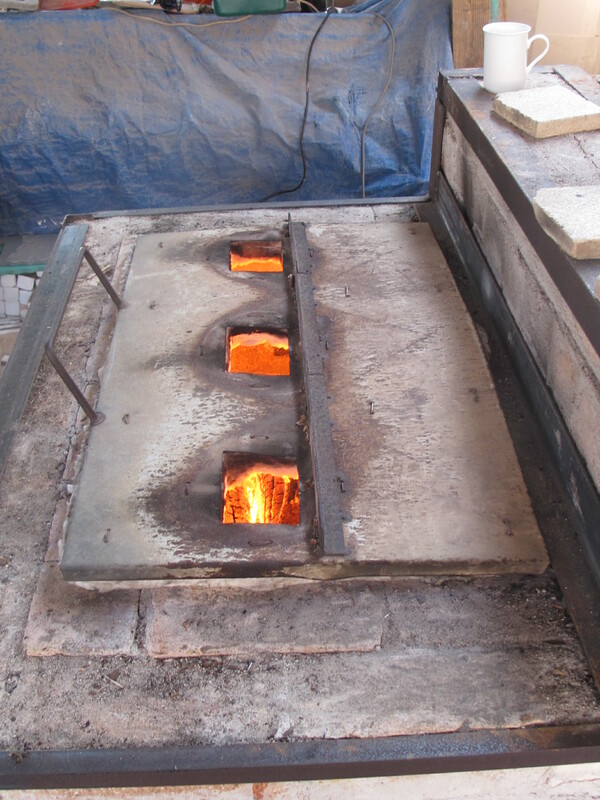 I man-handle the glowing lump of red hot metal outside and into the ash bucket using the ember shovel. In the morning, before everyone arrives for the next workshop. I’m up early and down in the workshop drilling out the corroded screws and re-tapping the threads to suit the stainless steel bolts that I keep in stock for kiln building purposes. It takes me about 45 mins to clean it up, dissemble it and then figure out what I should do to cobble it all back together again. The old bolt holes are well corroded and packed with swollen, rusted bolty remains. I find that it is next to impossible to reconstruct it as it was, without moving up from 3/8 whitworth to 10 mm. metric bolts, which I don’t have in stock. I decide to drill right through and use a longer, but thinner bolt. this works well and should last another 20 years. Probably longer than the remaining life of the rest of the stove. I get the door back on the stove just as the first of our guests arrive. Small progress, problem solved for the time being. It isn’t perfect, it won’t last, it isn’t finished. 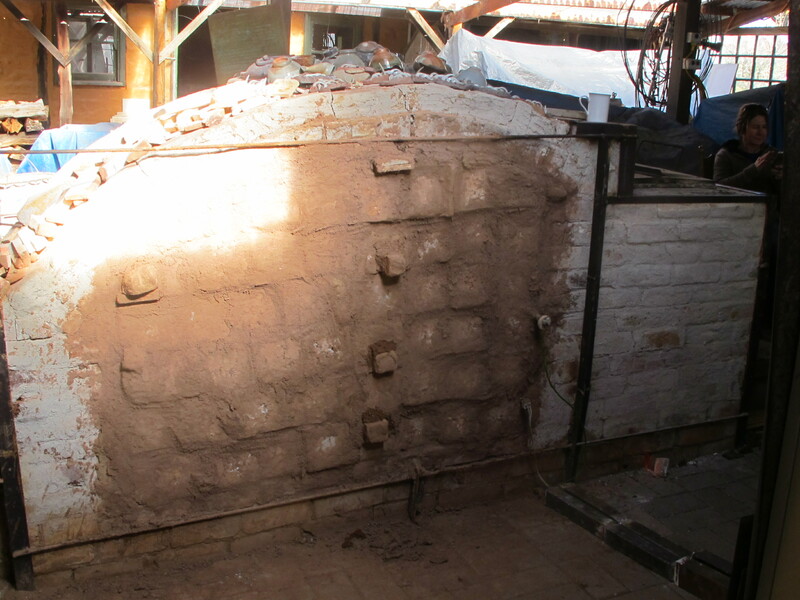 This entry was posted in in the kitchen, kiln firing, maintenance, self-reliance by hotnsticky. Bookmark the permalink.